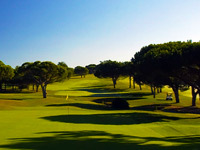 Victoria Golf Course,Vilamoura’s jewel, was the most ambitious golf project in Portugal and was aimed at being one of the best golf complexes in the whole of Europe. 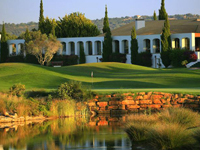 The Victoria Clube de Golfe is the fifth at Vilamoura and the most exclusive one at the resort, making it ideal to became the Algarve's and Portugal's major venue for top international tournaments. 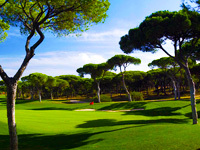 Palmer, whose design company has planned some 500 layouts worldwide, compiled the Victoria course project, and Southern Golf, Europe's largest golf course builder, was awarded the construction contract. 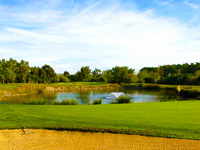 Several man-made lakes provide hazards for the players and also serve as water reservoirs for irrigation.